No visit to Houston would be complete without a visit to Space Center Houston. Considered one of Houston’s top attractions, this fun and educational site is sure to excite people of all ages. 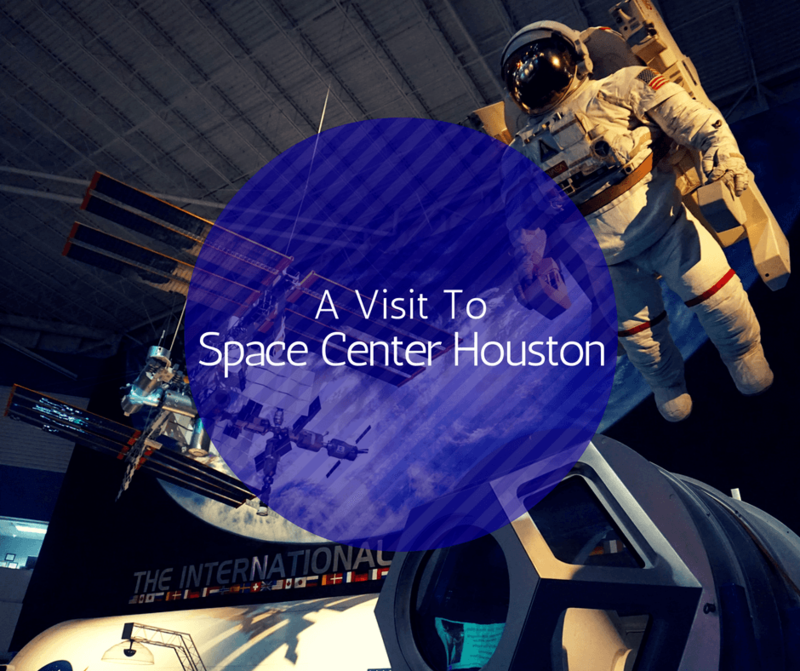 Space Center Houston is one of the top things to do in Houston, Texas, if not the top thing to do. Since opening it’s doors in 1992, it’s been visited by over 18 million people and currently welcomes about 1 million people a year. The center is home to over 400 space artifacts, including the largest collection in the world of moon rocks and lunar samples for public view. There are also plenty of events and traveling exhibits, which means that no two visits will ever be the same. During our visit, we took a behind-the-scenes tour of Johnson Space Center, home of mission control. We were taken by tram around the complex and shown where astronauts trained, where some of the space vehicles were kept, and even got to go into Building 9. Inside this building, we were able to see actual parts and gadgets being worked on. We even got to see engineers working on the latest space robot! Our tram tour also stopped in front of the building that houses the Saturn V rocket. That sucker is huge!! It is over 36 stories tall and there are only two other rockets like it in the world. To be able to see it in person was SO cool. We also got to explore Independence Plaza, where visitors can enter inside both a replica of the shuttle Independence and the original NASA 905 shuttle carrier aircraft. As you explore the two aircraft, you can see things like the flight deck and also the area where the astronauts lived. We had a great time during our visit to Space Center Houston. What we loved most about it, is that what visitors experience will always be different since it’s a working government facility. The technology being worked on may change, a new exhibit might be in town, or you might actually bump into a real life astronaut. It’s been on my list for years! It’s quite cool that I may be there within the next five years! This is so incredibly cool! I’ve wanted to do something like this since the movie Space Camp. It’d be a dream come true! How fascinating! Not sure when I’ll be down that way, but if I am I’ll definitely be stopping by. Who doesn’t want to see rockets and space rocks? I really enjoyed this post. I have to imagine seeing a 36-story rocket in person would be incredibly cool. Whenever I get to Houston, visiting the space center will definitely be on my to-do list. Seeing Mission Control seems particularly interesting to me! Definitely on my list of things to see in Houston. Looks like it was a very cool experience, what a fun place to explore! Um, I do not believe Buddy was the appropriate height for this ride. 😉 Seriously, I totally forgot Houston had a space center, too. Nice footage.